Huriricane Force, Ryota Yamazaki captures 2016 Cooper title, and more. 2017 Conservatory of Music Honors & Awards. Notable performances, recordings, and publications. 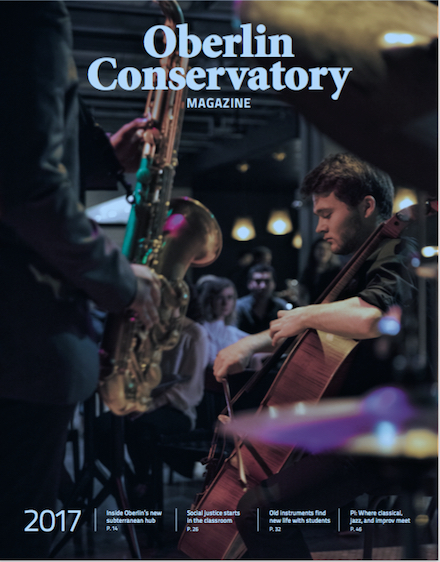 Oberlin Conservatory Magazine is published by Oberlin College & Conservatory's Office of Communications in Oberlin, Ohio.